The current Pilot model Custom in the all-too-well-known balance shape, so dear to Montblanc, has its starting point in modern times in 1983. In that year, to celebrate its 65th anniversary, the Custom 65 was released as a limited edition, This pen was designed, Masa Sunami says, following the style of some Pilot models from the 1930s, although some might insist in the German-copy theory. Pilot Custom 65, released in 1983. 6500 units were marketed. Two years after those 6500 units, in 1985, Pilot launched the non-limited Custom 67. This newer model preserved the shape and dimensions of the previous model while simplified the cap ring. The nibs of these two pens were identical and, in actual terms, they are number 5 nibs (Pilot numbering) albeit without that label. Size 5 nibs, let us remember, are those of the current models Custom 74 and Custom Heritage 92, plus that of some low-end maki-e models branded as Pilot and as Namiki. Pilot Custom 67, from 1985. Of course, a cartridge-converter pen. Custom 74 (top) and Custom 67 (bottom), side by side. Both Custom 67 and 74 implemented three-tined music nibs. They are apparently identical, but a careful inspection of their points reveals a clear change. 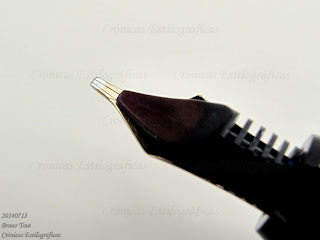 On the older nib, made in 1989, the tipping material is smoothly integrated in the nib, and creates no apparent ball at the end. 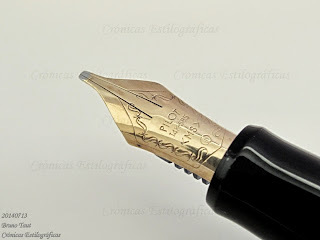 In this regard, this nib unit is closer to that of the Custom Grandee (1978). 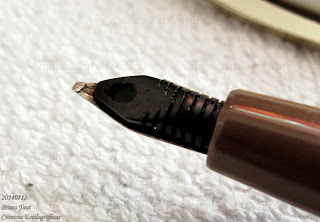 The nib of the newer Custom 74, on the contrary, displays an wide plateau that sticks out of the nib on the writing area. The music nib of the Custom 67. Feeds are also different: the newer unit implements and internal channel for ink and air that does not exist in older feeds by Pilot. 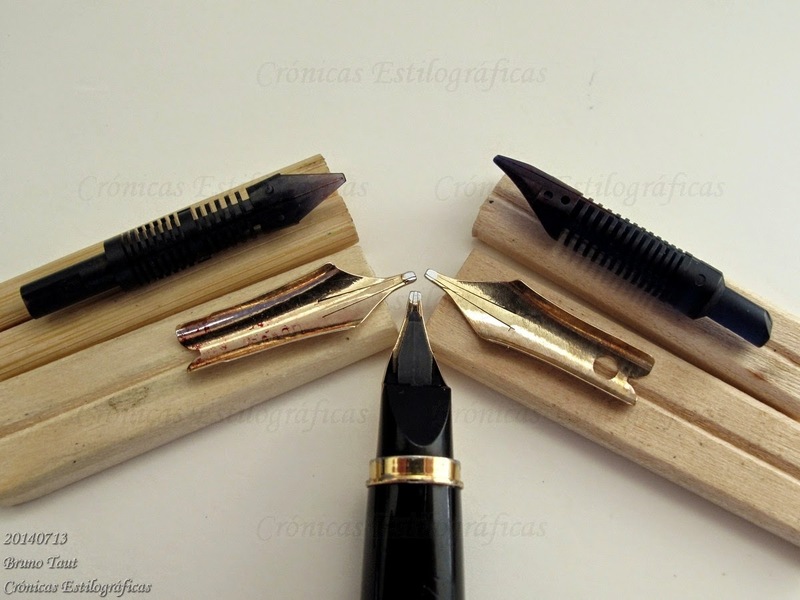 On the left, music nib of the Custom 74. On the bottom, that of the Custom Grandee. On the right, the Custom 67. Therefore, the apparent similarities should not confuse us. There is always room for changes and innovations. In this particular case, the looks of the tip and the writing feeling on the hand are much closer to those of the Custom Grandee released in 1978, with which the nib has no resemblance. My thanks to Mr. Noguchi. What converter does this pen take, can I buy one? All Pilot converters work: CON-20, CON-40, CON-50, CON-70.